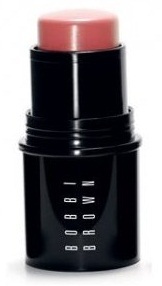 Sheer Color Cheek Tint was one of my all-time favorites from Bobbi Brown. I must have purchased every color. I have a Sheer Coral Cheek Tint to give away, a little treasure I found at the Estée Lauder Company Store. Sheer Coral isn't coral. It's a warm pink that anyone should be able to wear. The cream blush glides on easily, and with just a little blending adds a sheer, natural glow to the cheeks. I was smitten with all of mine and still use them. I have one to give away. Along with this prize, the winner of this week's giveaway will receive a special Le Métier de Beauté Daily Renew Crème Cleanser. The cleanser was a gift with purchase at Neiman Marcus, and I have one to give away, courtesy of Michael Reinhardt. I have one set, the Cheek Tint plus the Daily Renew Crème Cleanser, to give away. How can you enter to win this giveaway contest (technically a sweepstakes)? Just leave a comment on this feature (not in another BTiB post). After you comment here, feel free to send me an e-mail at bestthingsinbeautycontests@gmail.com (the contest address, not my "personal" e-mail) and identify your comment. You can never be too careful about sharing an e-mail address you care about on a blog, so feel free to follow this step (an alternative is to code your e-mail, e.g., myname at gmail dot com, in your comment). Please make sure I have your e-mail. If I can't notify you, you can't win - even if your number is drawn. I can't believe the number of entrants I haven't been able to find in the past. The deadline for entries will be Saturday, September 8, at midnight. The next morning, I will use a random number generator (random.org) to select the winner. I will e-mail the winner on Sunday morning. The winner will have 48 hours to reply to my message and provide a shipping address. After 48 hours, the prize will be forfeited, and another winner will be selected. Make sure to check your e-mail - and look in your spam folder - when the contest ends. hi, i love the products you chose to so generously give away! hope this time i win! I follow you through email. Thanks for your generous give aways! what a great color for me! Thanks for your give aways! Such a pretty colour! I'd love to try it. I love your blog, your giveaways are fantastic, too!! I love your giveaways and your presentations!! Thanks for offering this generous giveaway! That is a beautiful color for a cheek tint. And the face wash is one of the few Le Metier de Beaute skin care products I can use successfully. I always look forward to your posts in my in box. Even if the product is not something that would work for me or that I'm interested in, your color photos in sunlight are terrific! Lovely product to win! I follow your blog and read it all, every time. Thanks for the giveaway sweetie! i follow you via email (at a different address that I don't make public). Such a lovely giveaway. I am an email subscriber to your wonderful blog. This would be a most fabulous September prize! I am quite intrigued by this Estee Lauder store you write about. Pretty! I follow by email, GFC, and twitter. I love Bobbi Brown Products. I retweeted the contest as @DRTVrMoi. thanks for the chance, once again! Would like to try the tint! What a beautiful shade & giveaway! Just want to report on an outcome of a previous post, that on a Guerlain quad in orange and browns. I could not find it in Sephora, and stopped by the Pentagon City Nordstrom on Saturday. I met the lovely Sara and the Guerlain traveling artist Kay was in and made me up/over until I was pretty! Thank you for enabling me to meet them and this line. Also . . . I did not buy the blush, so this Bobbi Brown one would be very welcome! I am definitely a light, warm-color fan. Oh! I would love to try this and the cleanser! I don't know how to get the retweet link. It always go to your tweet. Wow, I would love to try this product - I wonder if it's similar to the RBR wand cheek color. love these sheer color tints! this looks like a great color!! I'd love to try to win this! I follow through Google Reader and my email is cetati at gmail dot com. I love Bobbi Brown products! love your blog - this looks lovely as always! I would love to try this, it looks like it would be flattering for anybody! Also subscribing with same email! I have 3 of BB's pot rouge and they are LOVE! Can imagine the cheek tints would be even more love. You have the BEST giveaways!!! I am new to your blog and I think it is terrific! How great that there is such a fabulous giveaway! I'd love to try a non-powder blush. BB is such a reliable brand; I'm surprised I've never tried any of her products! I've completed all the extra entries and will email you my info. Hi, would love to get to try this! I've just added you to my Reader! Thanks! geligurl (at) yahoo (dot) com. Thanks for the beautiful giveaway, once again! I love the color of this cheek tint and the formula sounds great for my skin type! this is such a fun giveaway! thanks girlie. I love BB and am so excited about the blush tint. Also I have a lot of Le Metier Beaute cosmetics, but no skincare. Thank you for being so generous. Much appreciated! I follow you through email. I really enjoy your blog! And I love Bobbi Brown makeup - what a lovely giveaway! Great contest yet again from you as always.Love the cheek tint . I have tweeted @ReneGroyer and I am an e mail subscriber and big time fan of your blog.